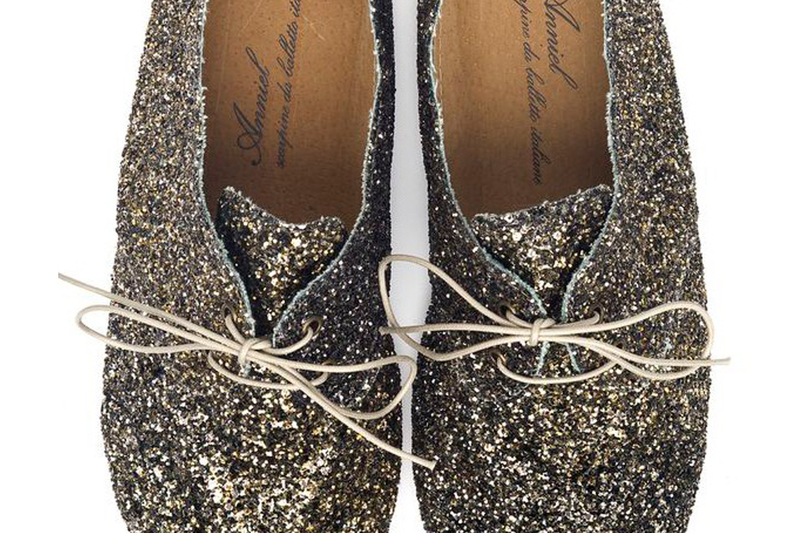 Flat fancy shoes covered in glitter, erm YES PLEASE! Italian company, Anniel have been creating fabulous flats since 1976. Inspired by a long ballet tradition, the company first started making sports items such as sports shoes and sportswear but later moved onto designing handmade soft shoes which made their name famous in Japanese boutiques in Tokyo, Osaka and Nagasaki. Now Anniel is a world-renowned and much loved brand that stays true to creating 100% hand-made shoes in Italy, focusing on fun creativity, comfort and Italian heritage. With my favourite glitter lace-up booties, (gimme guld any day!) I’ll be pirouette-ing myself into summer – as well as leaving a trail of gold sparkles behind me! See their new s/s collection here.